Armed with a catalogue brim-full of joyful pop singles to her name already, one could be forgiven for thinking that Sigrid had been around for years. Appearing out of the quiet Norway town of Bergen, the same spot to have spawned the ethereal AURORA, Sigrid exploded into the public consciousness with a bang at the age of 19. Having burst onto the scene with the empowering 2017 single ‘Don’t Kill my Vibe’, the 22 year old Norwegian recipient of the BBC Sound of 2018 has finally released her first full debut record; a full throttle pop assault, with such energy and youth that you can sense its beaming grin peering through the speakers. With a smattering of recognisable singles, including 2018 barnstormer and first UK Number 10 ‘Strangers’, alongside previously unreleased material, ‘Sucker Punch’ is a collection of euphoric highs and fragile lows; presenting a record ultimately characterised by the likeability of its auteur. Sigrid has become widely recognised by her relatable persona; striding wildly across stages sporting plain white T shirts, dungarees and Nike trainers it always appears apparent that she enjoys every second of her time in the limelight. Scrolling through her social media feeds reveals no different, with expressions of near disbelief at the release of her debut album, and the rapturous reception with which her music continues to be received. It is no wonder therefore that her music is dripping with enthusiasm and positivity; her version of a break-up song ‘Don’t Feel Like Crying’ affirming “Wallowing in it would be such a waste”, whilst ‘Business Dinners’ as a declaration of independence and uniqueity, expresses “You just want to be me.” It all comes together to create an album of positive pop, equally relatable, uplifting and fun; of little surprise to any listeners who have followed Sigrid’s progress since breaking out in 2017. Even at such early stages of her fledgling career, Sigrid displays a knack and a flair for composing the perfect pop single. 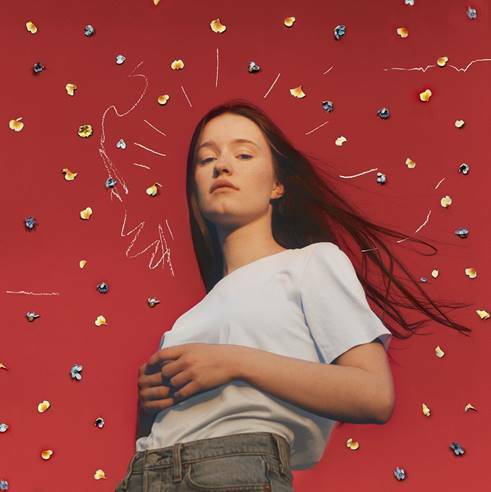 ‘Strangers’ remains the standout, its rasping synths and euphoric chorus proving instantly recognisable and an early hallmark of Sigrid’s style. The chorus of ‘Don’t Feel Like Crying’ builds to a sing-along crescendo, while ‘Mine Right Now’ and ‘Never Mine’ bound along, with synth and beat refrains destined to translate energetically to a live setting. ‘Don’t Kill My Vibe’ is an anthem for the young independent female artist; sticking to her guns and remaining true to one’s self when others seek to interfere. For Sigrid, it is this adamance, wholesomeness and integrity that seems to have stood her in good stead thus far; with a burgeoning fanbase already viewing her kooky, relentlessly true, joyous and somewhat wide-eyed enjoyment in her work as immediately engaging. It is a credit to Sigrid and her music that with such success following earlier singles ‘Don’t Kill My Vibe’, ‘Strangers’ and ‘Sucker Punch’ that her more recent creations slot in like they were born to be alongside one another, continuing to emanate the same youthful cheer from when she first burst onto the scene two years ago. Piercing the boundless exuberance shimmering off Sigrid’s modern pop “bangers” are moments of raw fragility, with downbeat ballads displaying the emotional strings to her multi-talented bow. ‘In Vain’ centres around lo-fi late night guitar pickings, blending slowly into harmonised vocals and rising synths. At times perhaps the energy and excitement of the young performer shields her vocal prowess, but it is these moments of scaled back subtlety where Sigrid is able to showcase her skills. Discussing the breakdown of a relationship with the “one I tried to fix”, Sigrid’s floating vocal on ‘In Vain’ carries the emotion of the song. ‘Basic’ follows the same principle, yet it is the album closer ‘Dynamite’, a recognisable release from her 2017 debut EP given the full album experience, which steals the show. Accompanied solely by a piano, the full transformation from prancing pop star to an Adele style songstress is complete, rounding the album off with a comforting closer. Perhaps the only disappointments in ‘Sucker Punch’ lie in the Lily Allen-esque ‘Level Up’, which while fragile and eloquent appears a little pedestrian, and the lack of earlier single ‘Schedules’, a previous favourite and staple of Sigrid’s 2018 UK festival appearances. As a debut record though, ‘Sucker Punch’ is a certain triumph for Norway’s best new musical export, building upon her already successful and established pop formula. It can be a tricky game to follow up a string of popular singles with a debut album release, but Sigrid’s first full-length effort certainly proves its worth, showing her as more than purely a producer of big pop standalone singles. The album, even at its most fragile points, is laced with positivity and excitement; two of the prime qualities that Sigrid has been recognised for over the past few years. On the evidence of this great pop record, she sure has plenty to continue smiling about. ‘Sucker Punch’ by Sigrid is available to buy, download and stream now! Tickets for her European tour, including 8 UK dates, are available online. Previous articleThe Great Debate: Should Weed be Legal?